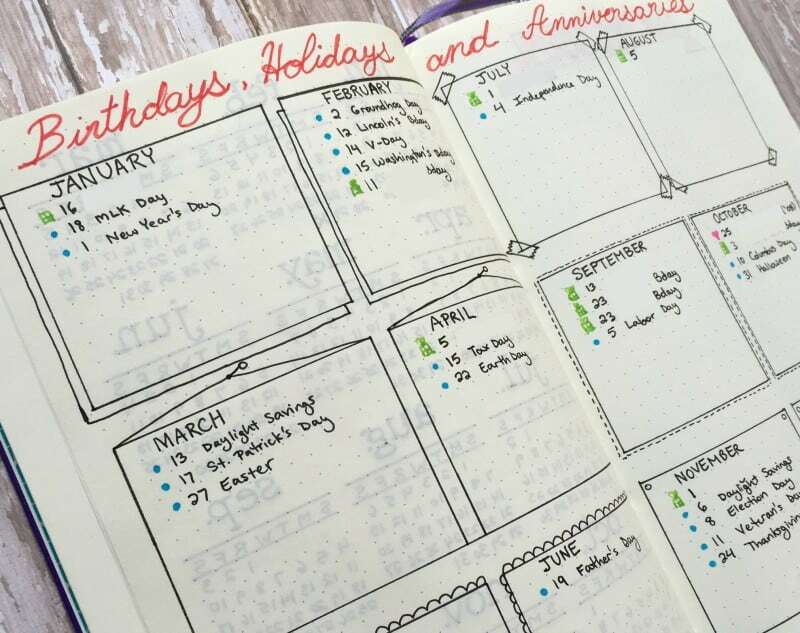 You’ve probably heard the term “Bullet Journal” popping up in social media a lot lately. I’ve used various types of journals and planners throughout the years, but the Bullet Journal has its own way of doing things. I gushed about the system to a few of my writer friends the other night, and figured I might as well share the love with all of you. Let’s back up for a minute so I can tell you how I stumbled upon Bullet Journaling. It’s a tragic tale, I’m afraid. I had a great idea once—yes, just the once—and I wrote down my world-changing, hunger-solving, disease-curing, mind-blowing idea on a Post-it note. Then I worked on some title ideas, took some notes for my book that would define an entire generation, then I moved the Post-it, took some more notes, moved the post-it again, brainstormed for a while…now, where did I put that Post-it? Sadly, the Post-it was lost forever. Are you crying yet? I scavenged the globe through treacherous conditions searching (*ahem* sat in my living room Googling ways to organize writing notes) and finally stumbled upon the notes and productivity system developed by Ryder Carroll. Voila! The bullet journal. 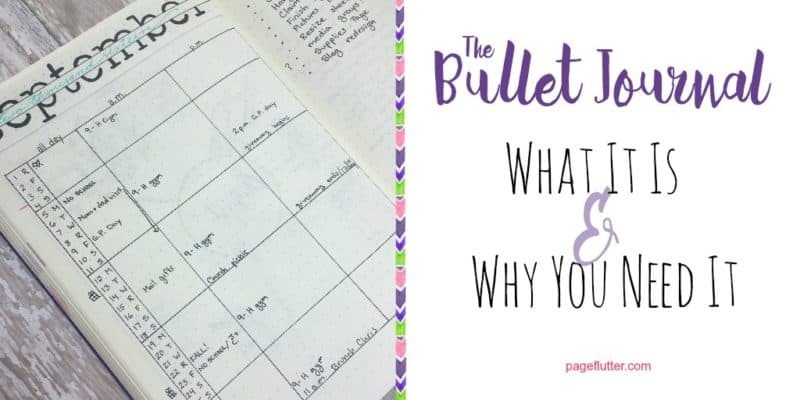 For real…What Is A Bullet Journal? 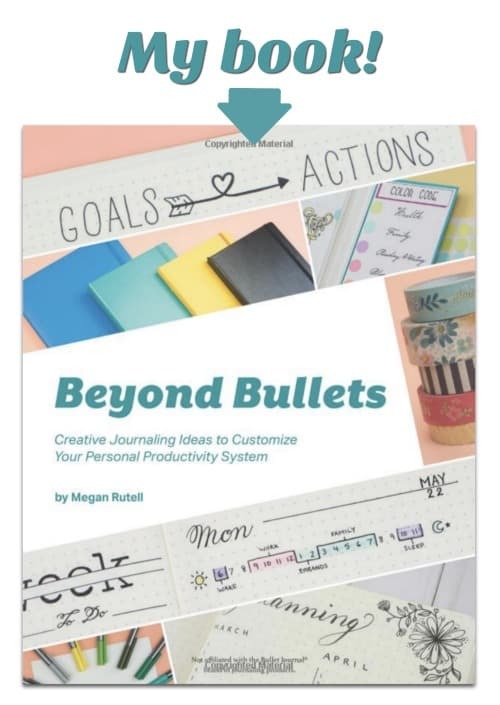 Here’s my simple explanation: The Bullet Journal is a highly customizable system for taking & organizing notes. Those notes are used to organize your schedule, ideas, goals, and other aspects of your life. That’s it. I know what you’re thinking: “What about all those fancy habit trackers, gratitude logs, hydration trackers, weather icons?” Those are purely based on the needs on the user. Instead of worrying about what other people put in their journals, you need to first understand the structure underneath it all. So, I’m going to repeat myself because I feel like it’s vital that you understand this one point. Anything else a bullet journal might resemble is based on the user. For some people it’s part sketch book, diary, kid wrangler, project manager, dream log, motivator, etc. But at its core bullet journaling is still a basic system. Cool? Good. We’re all on the same page. Ryder’s website has the best rundown of the system basics you’ll find on the web. I’ve taken this basic system and adapted it for my own use. Let’s get started! This is a very basic overview of the system, but it’s enough to get you started. The index ensures the infamous “Post-it Situation” never happens again. My Leuchtturm1917 already has page numbers printed in the corners, so I just record the topic and page number. 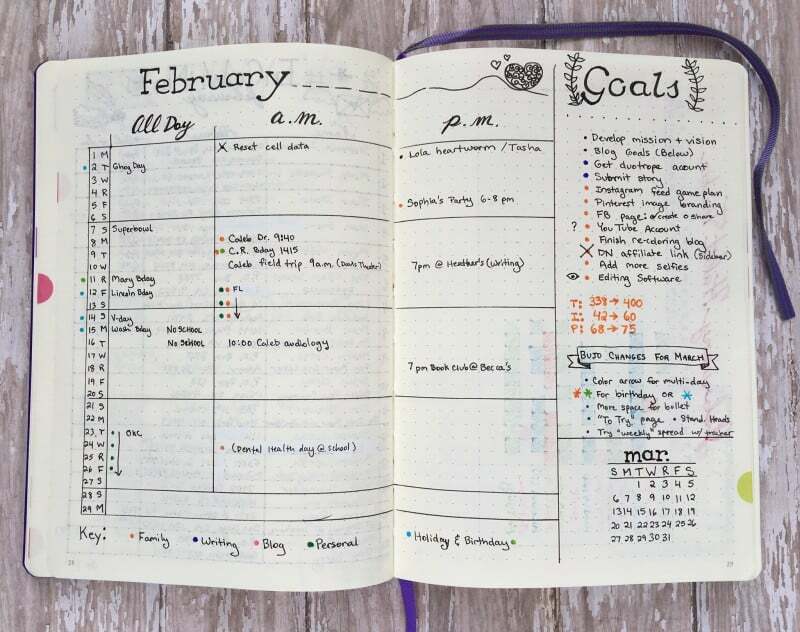 **A note on mistakes: You’re going to see some pretty impressive bullet journals out there. Don’t get frustrated if yours has a few blotches and mistakes. Mine does. It happens. Invest in some white out tape, and move on. I keep one page for holidays and birthdays. I find that if I put these in my Future Log, they leave little room for other events. The next page starts my long-term Future Log for the year. We move frequently for my husband’s job, so I sometimes have to plan things months, even a year in advance. I use three 4-month spreads to cover my year. 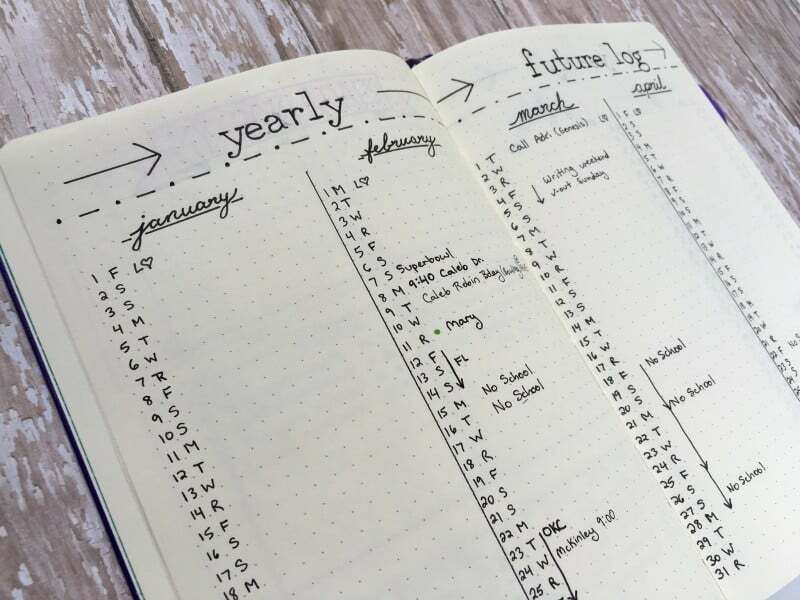 Future planning can be one of the trickier aspects of bullet journaling. As I expand this section of my blog, I’ll keep you updated on the latest and greatest solutions in the bujo (short for bullet journal) community. Make sure you sign up for my newsletter so you don’t miss out! Events scheduled in the Birthday Calendar and the Future Planning Log get migrated to the monthly pages. Monthly spreads are where the magic happens. I wrangle my schedule primarily on a monthly basis, and it gives me a place to focus my actionable goals. At the end of the month, I take a few minutes to assess whether I reached a particular metric; if not, I can reestablish my game plan for the next month. Daily pages follow the monthly pages. You simply transcribe scheduled events and tasks from your monthly spread to your daily pages. I also add notes of encouragement, inspiring quotes, and doodles if the mood strikes me. This works best for me if I do it the evening prior. Anything that didn’t get accomplished is migrated to the next day. Whenever you need to take notes on a new topic, you simply turn the page, create a topic heading, and start writing your bullets. Record it in the index, and you can locate your notes when you need them. Easy peasy! My favorite thing about this system is its adaptability. 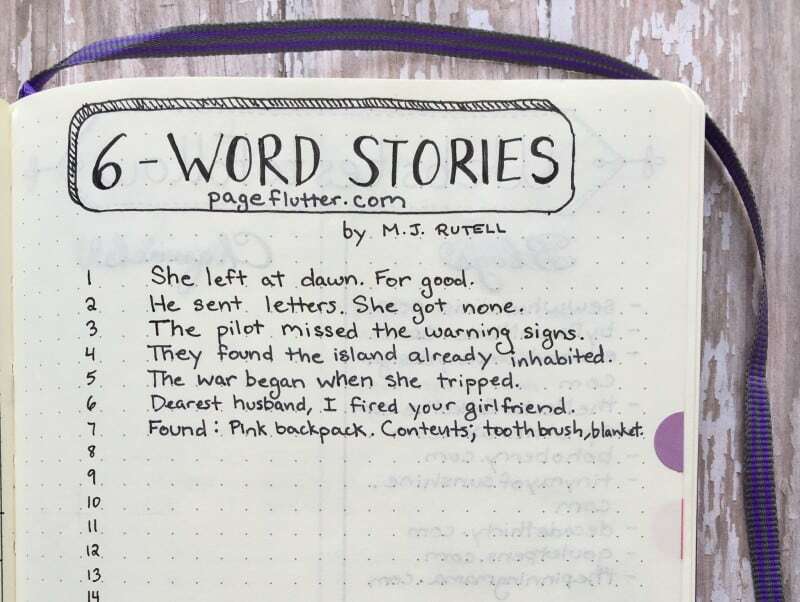 You’ll notice I have pages for creative writers, like my “6-Word Story” spread. It doesn’t really matter if you are a logical-sequential or creative-abstract thinker. You really can mold the system around your projects. Now, go be inspired! Your turn! 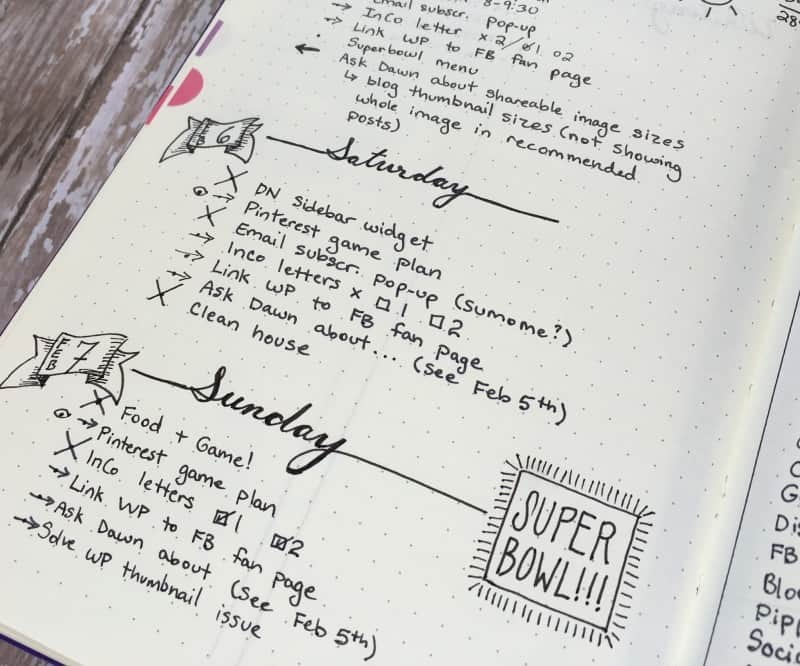 Have you tried the bullet journal system? How has it helped you keep your projects organized? What a great idea! I’d heard about Bullet Journals but didn’t quite have the idea. I’d love an excuse to buy a new journal and pens. I promise to use your affiliate links if I do. Tishushu, thank you so much for your thoughtful comment! I completely agree that this is one of the most open and supportive communities I’ve ever been a part of. So many people are ready to offer help! Future planning definitely seems to need some thought ahead of time. I admit, I haven’t tried the Calendex (I’m a little intimidated by it b/c I need things super simple), but it seems like a brilliant method. Play around until you find what works for you. I love that this process is fluid and can be adapted at any time! I have only been doing the bullet journaling for a matter of weeks but so far I really like it. I have always loved journaling. But this is awesome cause I can do everything in one place. The only problem I have is getting my normal everyday journaling in there. On some days I just need an outlet for feelings or whatever. Then on other days I don’t hardly write anything. So as soon as I get it all figured out it will be perfect. Heather, I completely understand! 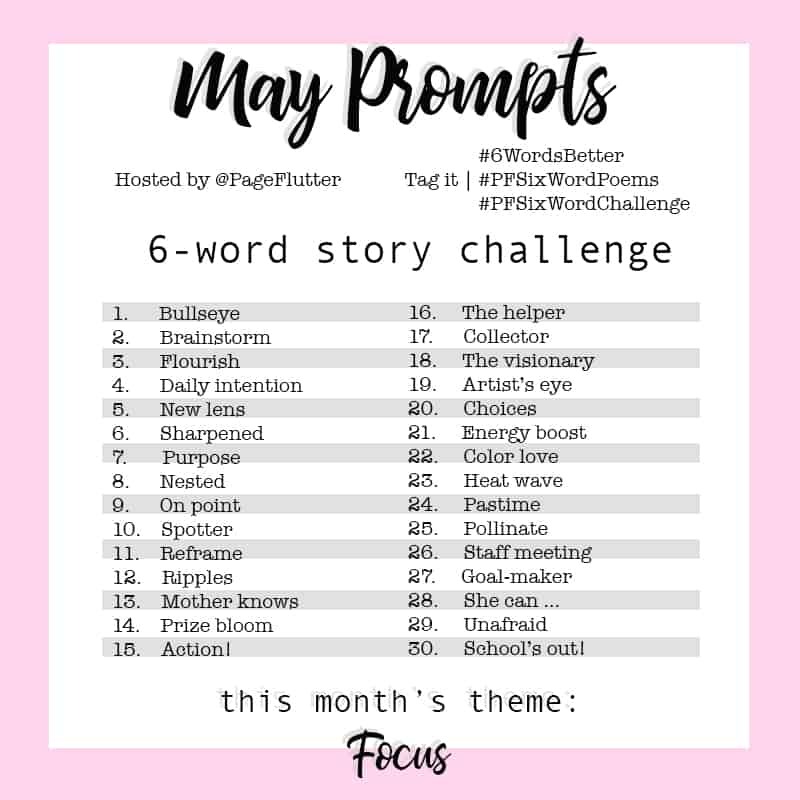 I use bullet journaling as a way of organizing my creative writing projects, which sometimes involves a lot of writing. I often use the next blank page for whatever is on my mind, adding it to the index as appropriate. I’ve seen some bullet journalists leave a “brain dump” area for the week, but it is perfectly acceptable to use your daily pages for traditional journaling. There is absolutely no rule against combining the two methods! I’ll try to do a post about this soon. Thank you for commenting and being a part of the bullet journal community! I’m a huge journal lover so I will definitely have to try this out! Hi MJ I love your future planner and the birthdays, anniversarys and holidays and I’ve magpied this thanks. I want to use my bujo for organsing myself at home and at work, however, I don’t want to end up carrying 2 bujos around. Do you find that 1 Leuchterm lasts a whole year whenever you start it? Mine goes from September to August as I’m a teacher and I think that’ll work for me. But at staff meetings I have no diary and that definitely doesn’t work for me. I have an electronic calendar too which pings up reminders on my phone but at heart I’m still an analogue girl. Hi, Donna! I’ve been using the same Leuchtturm notebook all year, and I anticipate it lasting through December. It all depends on how how many notes and collection you make, but it’s a fairly large notebook, so you’ll probably have plenty of room. good idea with the scanner. Do you use a stencil for your banners? Your layouts are so neat. 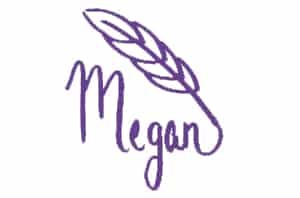 Do you use stencils at all or have you practiced your handwriting? I have occasionally used my Westcott stencil (linked below) for weekly layouts, but I try to do most things by hand. It cuts down on stuff I have to carry around with me. Link to Instagram isn’t working . . .
Hi Lola! I checked the links on my end; maybe it was a temporary issue. Everything seems to be working now. Let me know if you don’t find what you’re looking for and I’ll try to get you pointed in the right direction. Thanks for reaching out to me! The more I’m reading about bullet journals the more I want to start… but 1/4 of the year has already passed… I’m torn! So, are you using the A4 or A5? Your text for the link says A4, but the actual link is for the A5, which the Medium size. Nearly every blog I visited before starting my BuJo recommended the Medium. I’m so disappointed in the size of it. Next time, I’m moving up to the A4, which is the Master size. Love your post! Oh, my goodness, Shelley! I’m so glad you pointed this out to me! I corrected the text, because I do, in fact, use the A5 (Medium) version, measuring approx. 5.75x 8.25 inches. I like a notebook that is small enough to carry everywhere in my purse, but if you need something larger, do what works for you! Thank you again for the comment; I don’t want to lead anyone astray! I have a Plum Paper planner right now, but I love the flexibility of a BuJo, so I got a composition book (with squares!) the other day to try my hand at the bullet journal. I just love love love that it can be whatever I want!! Mandy, the flexibility is what sold me on the BuJo, also! I wear a lot of hats in my life, and there was no pre-made planner than let me coordinate all of my projects and responsibilities. As your needs change, you can adapt with the turn of a page! I wanted to try using a bullet journal for a long time and finally managed to do it. I started with a small A6 one so I won’t be overwhelmed and give up from the beginning, as I usually do. It’s only for daily spreads, with 3 days per page. I tend to be a messy person so I just randomly note and draw everything instead of marking each task. It helps me visualize a bit better. I love adding little notes and icons at the end of each day (like I’d do in a normal journal) and having 3 boxes to check for daily to do (exercise, draw, read) motivates me a lot. I plan to make a bigger, pretty and creative one that includes collections and everything and maybe keep that one at home while taking the small one everywhere for quick notes. Your posts help and inspire me a lot, thanks for sharing with us! I wish I started earlier. Just got here and I want to thank you for the work that you did to help us all. I’ve been doing a bullet journal for about five months and find it very helpful for keeping my life, projects, and to do lists, etc., in one place. 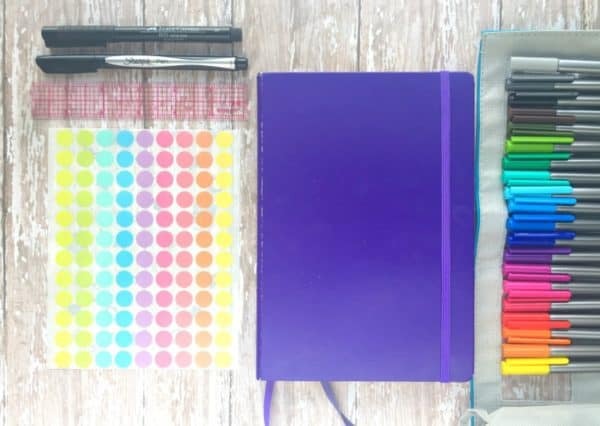 I know that everyone has their own take on what works best for them, but I can see that some people may see so many ideas on Pinterest and other places, that they may not get started with a bullet journal because it looks like it may be too “complicated”. My only suggestion is to start with Ryder’s basic journal, use it for a few months and then see if there are things that you may find missing for your own situation. 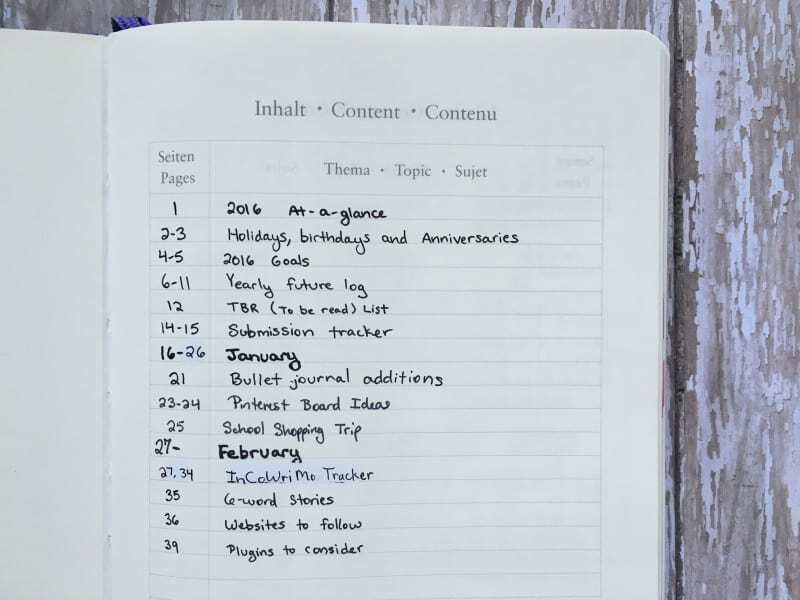 Ryder’s idea was to create a simple, uncomplicated and easy to use journal that works from day one. If something doesn’t work along the way, or you need something that isn’t there, there are enough resources out there that one can borrow from, so as to not reinvent the wheel. If you are creative, why certainly do it on your own…but don’t let the plethora of all that you see out there, deter you from starting. We’re not running a race, so there is no reason not to go slowly. Hi! I am literally 24 hours in to learning about Bujo and EVERYONE I have talked to has mentioned the Staedtler pens. Which case is that that you have? Hi, Alison! I have the 20-pack of fineliners that comes in a rollup bag. I don’t have the link in the post because these aren’t always available on Amazon. I managed to find a couple of active links for you, though! There are a few colors out there (I have the blue version). –The black one is here here: https://www.amazon.com/gp/product/B00MWP4Q4W?ie=UTF8. That quote is the whole reason I got into bullet journal-ling. I’m kicking myself for not starting sooner. That quote should be shouted from the rooftops! I completely agree! My Bullet Journal makes life so much simpler.